Limited places – Offer extended to 26 April. Book by this date (or while availability lasts) to avail of this fantastic offer! Visit one the most wonderful, awe inspiring and remote parts of the planet. On this genuine Bucket List trip. You will join the few pivileged people who have set foot on this desolate and unforgiving place. 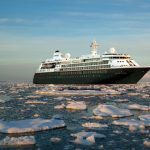 Unlike the hardship of Shackleton and his men, you will be taken there in ultra-luxury on board Silversea’s Silver Cloud Expedition, while enjoying the best of service, ambience and cuisine. Travel from Dublin with a group of fellow Irish explorers and enjoy a great, memorable trip of a lifetime. Fri 22 Nov ’19 Scheduled flight Dublin – Buenos Aires via Amsterdam with KLM. 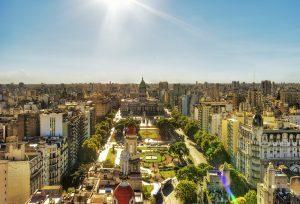 Sat 23 Nov ’19 Arrive in Buenos Aires and transfer to 5-star Park Tower Hotel. Free day in Buenos Aires. Sun 24 Nov ’19 Breakfast at hotel. Depart Buenos Aires in the evening. Mon & Tue 25 & 26 Nov ’19 Days at sea to listen to lectures, enjoy the ship and relax. Thu 28 Nov ’19 Day at sea. 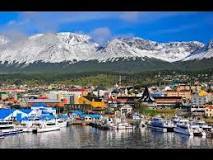 Tue 10 Dec ’19 Arrive Ushuaia. Charter flight to Santiago, Chile. Transfer to 5-star Sheraton Santiago for overnight B&B. Afternoon/evening free. Wed 11 Dec ’19 Morning free. Transfer to Santiago Airport for flight home via Amsterdam. Thu 12 Dec ’19 Arrive Dublin. 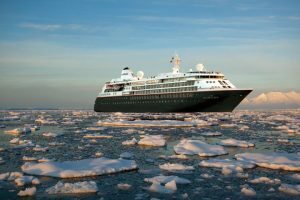 * 16 night cruise aboard Silverseas Silver Cloud Expedition ship, 1 night hotel in Buenos Aires, 1 night hotel Santiago & 2 overnight flights . Depart Dublin on Fri 22 Nov ’19. Arrive home Thy 12 Dec ’19. 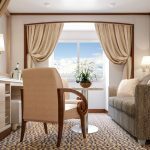 Pay for Vista €11,250 and get Veranda Suite. Limited offer – must be booked and paid in full by 26 April. Exclusive to JGT. Call today on (01) 207 6555 A deposit of 30% will be required to secure place. This deposit is non-refundable. The balance will be due by 26 April 2019. 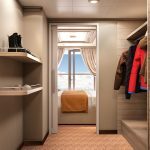 After extensive refurbishment, Silver Cloud will be the most spacious and comfortable ice class vessel in expedition cruising. Her large suites, her destination itineraries and her unparalleled service make her truly special. Her five dining options will tantalise your taste buds and as 80% of her suites include a veranda, watching a breaching whale or a few cavorting penguins has never been so personal. Broad sweeping decks with multiple open spaces and a swimming pool complete what is surely the most distinctive expedition ship sailing today. 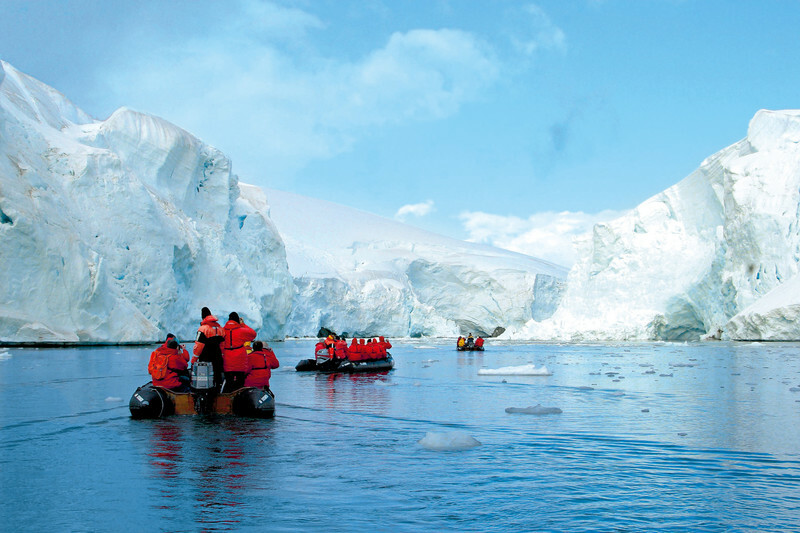 An expedition with Silversea luxury cruises is unlike any other form of travel — thrilling, awe-inspiring and humbling all at the same time. It takes you to some of the most remote regions of the planet and shows them to you intimately. It is for the curious traveller who longs to see these remote places. It is about immersing yourself in the culture, landscape and habitat of a region with the help of experts who can illuminate all you see. You’ll enjoy a uniquely immersive experience, expanding your global perspective and prompting you to re-evaluate what really matters. 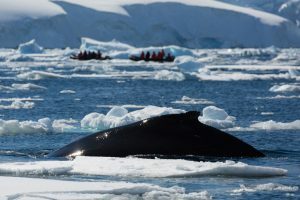 And rest assured- no creature comfort will be denied on an expedition cruise with Silversea. An important part of any Antarctic Expedition is to learn more about the places you visit. To further enhance your experience on an explorer voyage, the Expedition Team will give presentations and lectures on the history, biology and geology of wherever you sail. The Expedition Team consists of experts from numerous fields and backgrounds and they are always happy to answer your questions. Together with the crew they will make your time on board and the landings you make extra-special. Shackleton’s Antarctica – The Irish Connection! 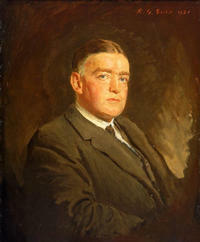 Ernest Shackleton was one of Ireland’s greatest explorers. His feats on the Antarctic ice and particularly the awesome rescue of his colleagues following an 800 mile dash in roaring seas, in an open rowing boat were truly mind-boggling. This tour will visit many of the spots Shackleton explored and lots more besides. 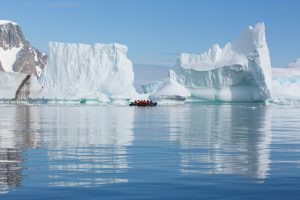 Land on the ice shelf aboard zodiacs with experienced, knowledgeable guides. 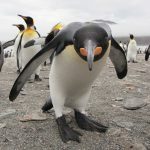 Meet the penguins, see the seals and join the extremely small club of people who have stood on the most remote part of the globe! You can anticipate massive glaciers and icebergs, deep fjords and bays. 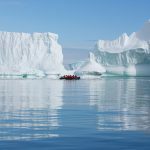 They offer the setting for a fascinating scenario that will ensure incomparable moments on this expedition. At this time of the year, the seals come ashore to prepare for the birth of a new generation, and penguins incubate their eggs. 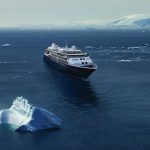 Look forward to your personal adventure amidst magnificent landscapes in which the Antarctic explorers of bygone times accomplished truly heroic deeds. 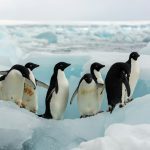 A travel book writer once compared the island to the glaciated high mountain ranges of Nepal – and indeed, up to 3,000 m high distinctive mountains jut out of the South Atlantic and announce a very special animal paradise. While king penguins incubate their eggs in a fold of skin, gentoo penguins build nests out of little stones which the animals often steal from each other. You can encounter elephant seals that reach a length of up to 6.5 m. The trails of history inevitably lead you to the former whaling station in Stromness Bay – in May of 1916, Sir Ernest Shackleton arrived here after a strenuous hike across the mountains. From here, he organised help for his men, whom he had left behind on Elephant Island. You can pay your last respects to the Antarctic explorer at the cemetery in Grytviken. Like a research ship, the MS Fram advances ever further south through drift and pack ice. Every day is unique thanks to exciting discoveries. 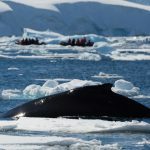 For instance when you head for the elephants seals, fur seals and penguins of Elephant Island with the Zodiacs – the very island on which Shackleton’s men endured for 128 days before finally being rescued. Or on Deception Island, a collapsed volcanic island that not only awaits you with snow and ice, but also with black lava beaches – you can even take a bath in the hot springs. The sight of several-metre-high glacier walls in which deep trenches are shimmering in shades of blue will overwhelm you in Paradise Bay. A unique play of light and colours that continues as you sail through the Neumayer Channel. The waterway winds its way through the Antarctic landscape like a labyrinth. At the former English research station Port Lockroy, you will be welcomed by croaking gentoo penguins that virtually brood on the steps of the restored buildings. With the Lemaire Channel, you are sailing through a legendary strait of overwhelming beauty. The waterway is 11 km long and merely 1,600 m wide at its widest point. Snow-covered mountains tower high in the air on either side and appear close enough to touch. On Petermann Island, you have the opportunity to join a hike to see blue-eyed cormorants, Adelie penguins and gentoo penguins. The island belongs to the Wilhelm Archipelago which was discovered in 1873 by the German researcher Eduard Dallmann. Here, you can watch the bustle of activity of the animals that have literally established trails between their nests and the water. A change in itinerary may become necessary on this expedition to Antarctica. The captain will decide on the best possible alternatives depending on weather and ice conditions. ©Copyright John Galligan Travel, Sandyford, Dublin 18, Ireland.